I’m sure during this monsoon season you’re suffering from daily breakouts, as I am. 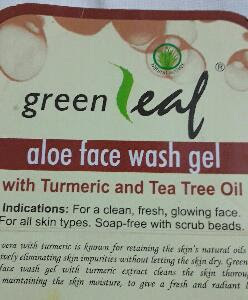 You may have gone for this and that creams, face wash or home remedies those containing aloe vera gel and tea tree oil. But I say that all your searches have come to an end now. As here’s something for you to look at. I have found a really good face wash, that’s green leaf aloe face wash gel with turmeric and tea tree oil, Brihans naturalproductsltd. 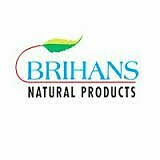 Brihans naturalproductsltd is a brand, maybe not so old, established in 2000, that keeps new standards for making 100% natural products in the most modern way. They have brought in the market the products, formulated with natural active ingredients like aloe vera gel, turmeric extract, tea-tree-oil, kokum butter, cucumber, almond and much more. These are very much safer for our skin and hair. Now I am going to share my experiences about the product. 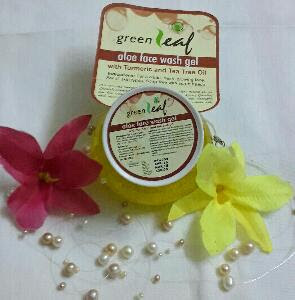 The green leaf aloe face wash gel with turmeric and tea tree oil is a soap free face wash gel with tiny ISO-diametric beads, that exfoliates the dead cells, giving the radiant glow to the skin. Look at the pic, the beads are so tiny, they don’t harm the skin. Take a little amount of the gel, massage with you a very soft hand, then wash it off. I’ve been using it for seven days. I see that the gel cleans my face thoroughly giving a fresh look. As the main ingredients are aloe vera gel and turmeric extract, and tea tree oil, it reduces the oiliness, by keeping acnes away and it helps to heal the acne scars.Honestly, my breakouts are reducing. I know it will take time. At the same time, Brihans face wash gel maintains the skin’s moisture and doesn’t make it dry. One can feel hydrated the whole day. That’s why I shall recommend the gel for dry skin beauties also. The brand also recommends it for all skin types. Aloe vera and turmeric both lighten the blemishes and suntan. 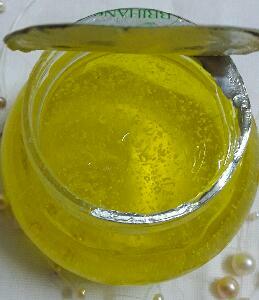 As turmeric is itself and exfoliator, it evens out the skin tone and lightens the stretch marks. This is the reason why many skin care brands use turmeric as the active ingredient of their skincare products. This is not very pricey too. You have to spend only 100 rupees for this 120 gms tub. BY rating is 4/5. Sorry Brihans naturalproductsltd I can’t give 5 due to the packaging only. Otherwise, the product is awesome. Thank you, friends, for reading. Share your thoughts in the comment section. More reviews are coming. Till then bye.